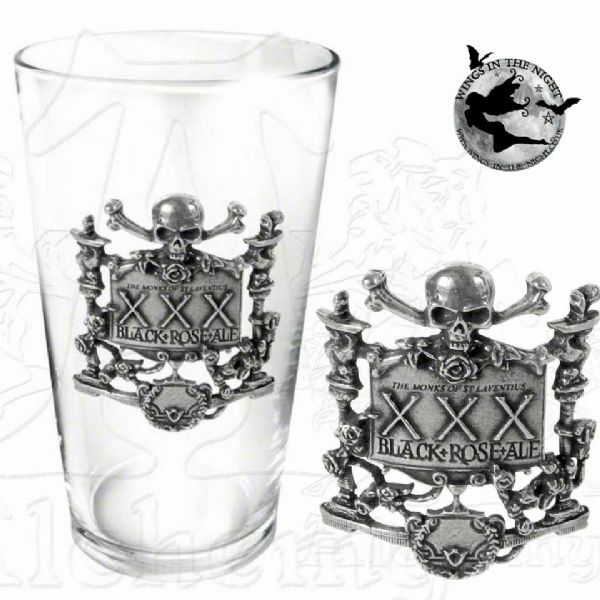 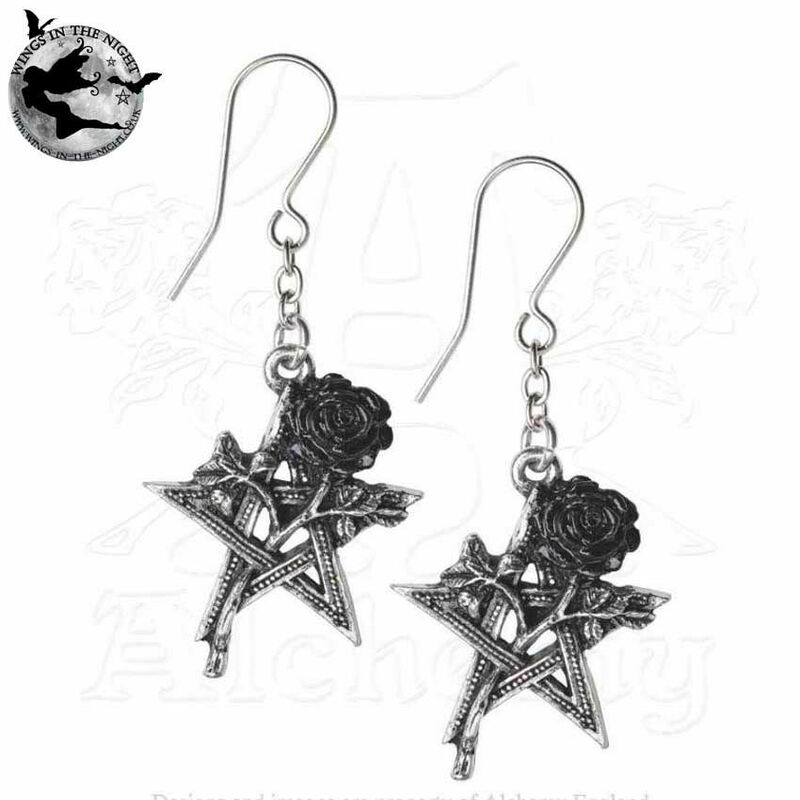 Ruah Vered Gothic Pagan Earrings by Alchemy Gothic. 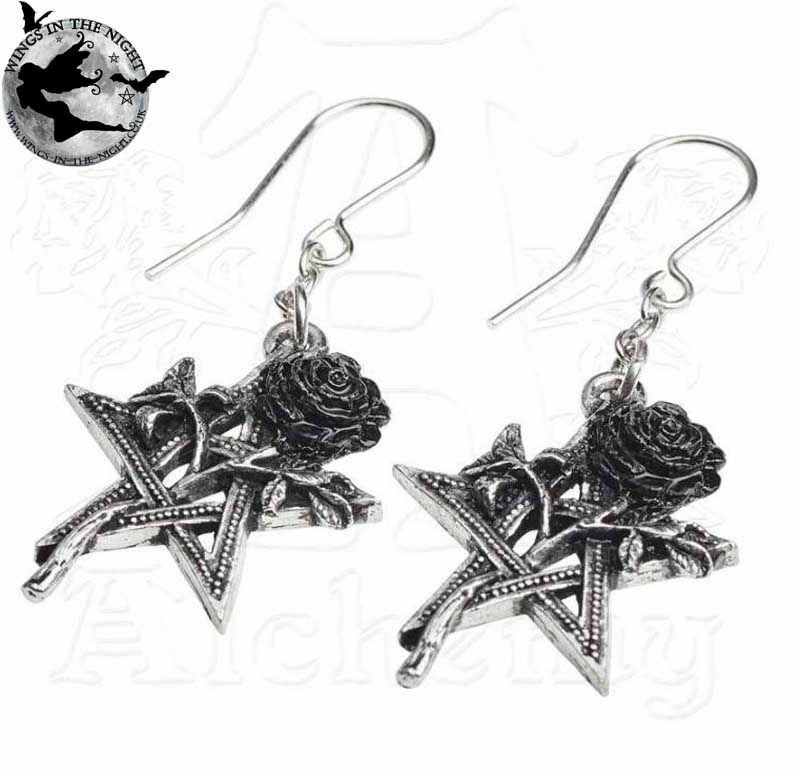 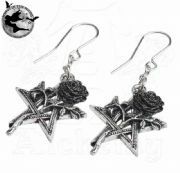 A striking pair of detailed Pentagrams entwined with a black petalled rose. 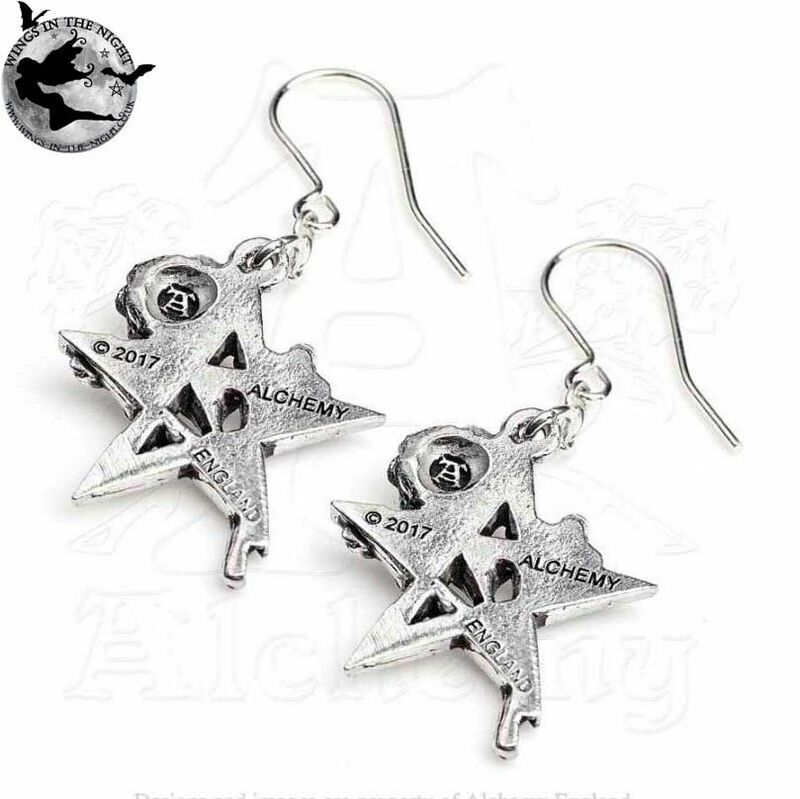 On surgical steel ear-wires from a fine chain. 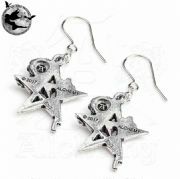 Pendant size: 4.7 x 2.3 x 5 cm.